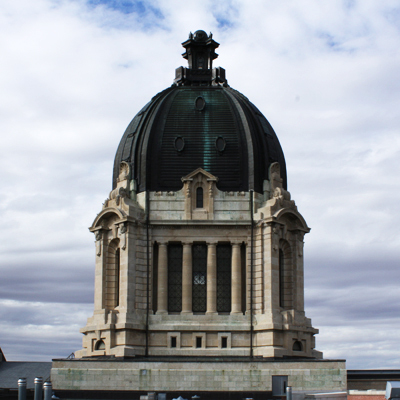 The Saskatchewan Legislative Building is the premier heritage building in the Province of Saskatchewan and an important landmark in the City of Regina. Designed by the leading Montreal firm of Edward and W. S. Maxwell, construction began in 1908 and was completed in 1912. The building's three-story elongated cruciform structure is surmounted by a tower and a dome, and combines Beaux Arts planning with English Baroque elements. 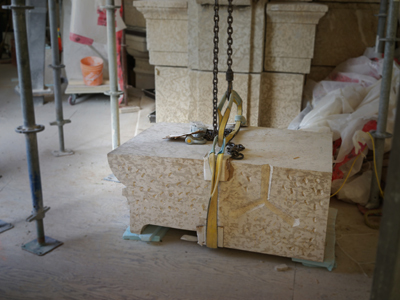 After completion of an RFP process our firm was appointed in 2012 as prime consultant for the $20m Tower Conservation project, which is underway and expected to be substantially competed by December 2015. Michael McLeod has acted for the last two years as our site resident clerk-of-works, with Chris Daniels our resident site conservator (ArconTEST).